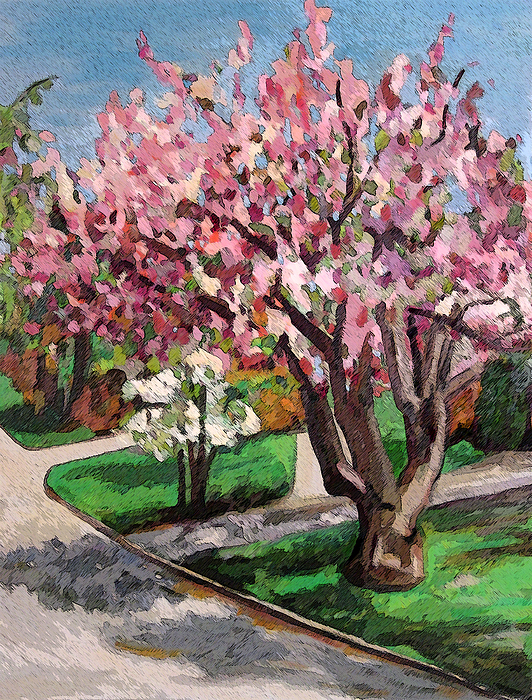 Cherry Tree And Dogwood 2 is a painting by Beverly Trivane which was uploaded on October 6th, 2010. I added some Photoshop filters to digitally enhance my original oil painting. Lovely Perspective ... Well-Done Beverly!